Detail from Dante con in mano la Divina Commedia, by Domenico di michelino (1465). Via Wikimedia Commons. 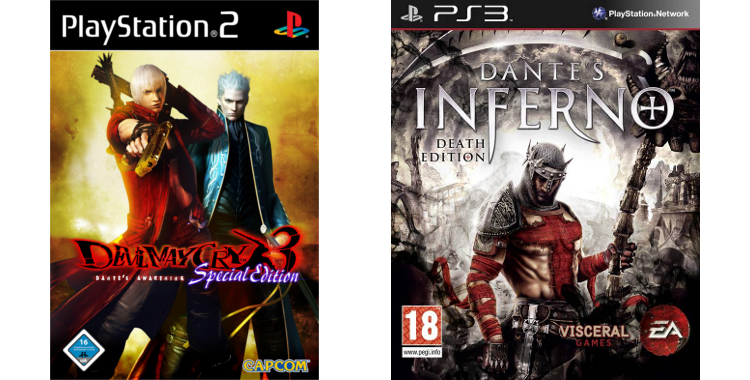 Although it was composed 700 years ago, Dante’s Inferno continues to influence our culture and society, from depictions of hell in video games to the way we understand real-world suffering. Ahead of a Durham Book Festival talk on Discovering Dante, Aalia Ahmed draws four connections between this historic literary work and the present day. Dante’s vision of salvation and self-knowledge is passed from generation to generation, continuously being reimagined and reinterpreted. It has been adapted in various media: Jodi Picoult’s The Tenth Circle (2006) and Philip Pullman’s The Amber Spyglass (2000), included in His Dark Materials trilogy, employ several scenes and imagery from Dante’s vision of Hell; the 1935 film Dante’s Inferno and TV shows such as The Sopranos refer to several of Dante’s circles of Hell; video games such as Dante’s Inferno (2010) and Devil May Cry (2001-2015) are loosely based on, yet share many similarities with, Dante’s masterpiece since the protagonists, named after the poet, have to battle daemons and Lucifer himself. His allegorical masterwork has been thus made accessible to all ages, backgrounds, and faiths; its importance extends beyond academic and scholarly forums, and is recognised universally. Although the poetry was composed nearly 700 years ago, it still resonates with the political turbulence of our day, especially the current refugee crisis. His words empathise with the pain of those suffering political injustices, speaking for those who have no voice. More than this, his poem shows the trials and tribulations of being a refugee, elucidating the difficulties and distress of those who are forced to leave their homes and experience an alien situation. Dante’s depictions of Heaven, Hell, and Purgatory have greatly and extensively inspired Western art. Artists of all faiths and creeds have reiterated and reinterpreted the Divine Comedy (composed in the early 1300s) to address contemporary politics, philosophy, society, and artistic principles. The characters and themes of this masterwork have been depicted in works of art hanging all around the world. 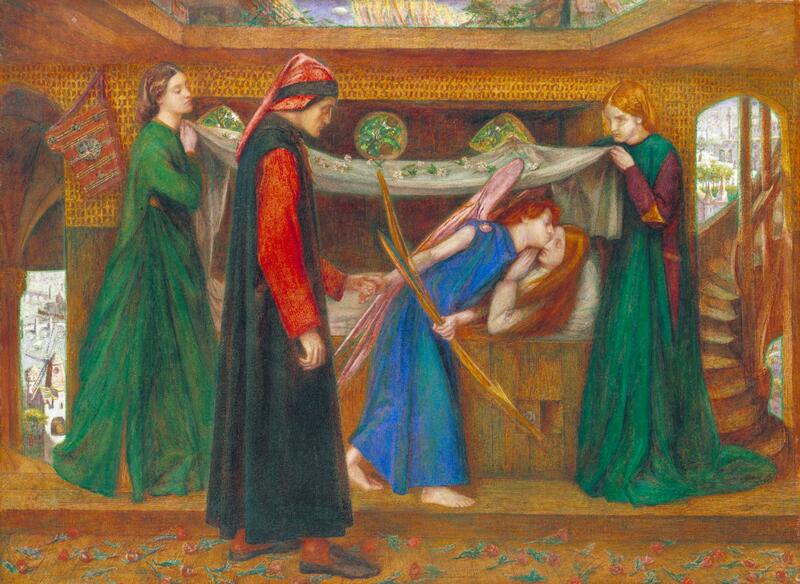 For example, the paintings of pre-Raphaelite artist Dante Gabriel Rossetti – portraying Dante and Beatrice, and scenes from the Divine Comedy, such as Dante’s Dream, Beata Beatrix, and Dante’s Vision of Rachel and Leah – revolutionised Victorian society and continue to inspire everyone, artists and the general public alike, today. Dante’s Dream at the Time of the Death of Beatrice 1856 Dante Gabriel Rossetti 1828-1882 Bequeathed by Beresford Rimington Heaton 1940 http://www.tate.org.uk/art/work/N05229. Reproduced under CC-BY-NC-ND 3.0 licence. However controversial Dante’s life and oeuvre was and can still be, his influence on human behaviour and thought is incontrovertible. Readers might not necessarily share Dante’s Christian faith, but his views and works inspire reflective people from any age or place to engage with more general questions about human existence, such as ‘what is good?’, ‘what is evil?’, and ‘what is human nature?’ He highlights injustices and the abuse of power, showing how to refute and oppose tyranny. Dante’s chastisement of a series of corrupt popes in Hell may not bear significance, in a religious sense, to many modern thinkers; yet the disturbing punishments and behaviour of those deceitful spiritual leaders are not without contemporary relevance as they reflect modern corruption. 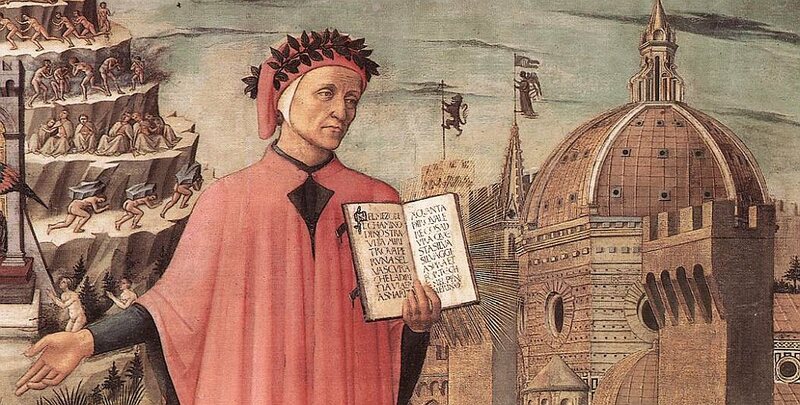 Learn more about how Dante continues to influence art, literature and culture today at Discovering Dante, part of Durham Book Festival. Join Durham University academics Professor Michael O’Neill and Dr Jason Harding, along with Professor Nicola Gardini of Keble College, Oxford on 14th October.